All magnets are screen printed in bright and glossy colors. 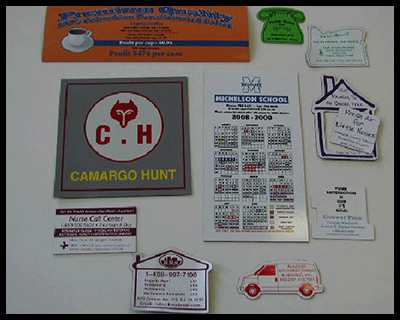 They can come in a variety of shapes including business card, telephone, house, van, or a number one. Other shapes are available upon special request.